The restaurant logo came into force as a representation of a restaurant’s brand. It generally reinforces the brand message and works as a symbol to illustrate the brand across all marketing materials. A restaurant logo is essentially that powerful symbol or an image that represents the establishment in its entirety. Once you have the right logo for your restaurant in place, it can play an essential role in restaurant marketing and branding, which in turn, helps to create a band of loyal customers. Since humans are generally visual people, we tend to see things and try to make it relevant and meaningful in the real world. It helps people to remember your restaurant. You might think, how much can a restaurant logo help you in running your business. A right one in place helps you to reinforce your restaurant’s identity. It helps in creating an instant connection with your restaurant. Hungry customers will feel like they know more about you and feel more comfortable buying from you. A logo increases your brand visibility and helps you connect with all the potential customers out there. For example, Burger King’s logo has the restaurant name set between two hamburger buns. The logo is simple, and it clearly explains what the restaurant sells. The logo has bright colors that are also in sync with the theme of the restaurant. Colors play a critical role in impacting the customers’ choice while ordering food. Typically, bright colors such as red and yellow influence the customers to order quickly and then leave, which is essential for a quick service restaurant such as Burger King. 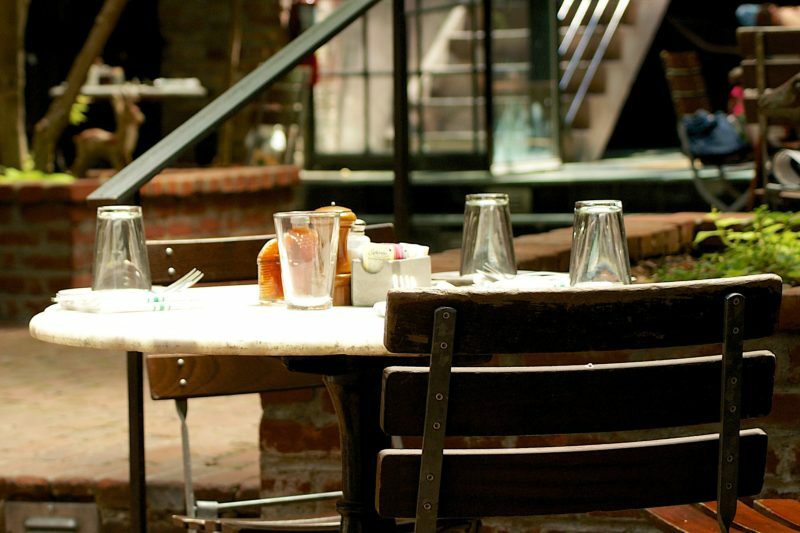 Learn how colors can impact your restaurant business here. When you select a restaurant name, there is a story attached to it. It is similar, for when you choose a restaurant logo. Each logo tells a story. The story can depict the circumstances that prompted you to start a restaurant or what you want to achieve through your restaurant. Once customers know about your story, then they will be able to relate to it, and it will bring them much closer to your restaurant. First impressions go a long way in attracting the attention of the customers. You must always remember that humans are highly visual beings, and hence, you can manage to seize their attention with a great restaurant logo. Make the logo easy to decipher and it must convey what kind of restaurant it is, which in turn will help the diners to decide whether they want to visit your restaurant or not. For example, a restaurant logo for a Quick Service Restaurant will be different from a Fine Dine. While a fine dining restaurant will have a more simple logo in primary colors, a quick service restaurant will have vibrant colors and something that will be easily recognized. After a point of time, your customers will familiarise with your restaurant logo and will, in turn, associate it with their experience which can reinforce future visits. Whether you think about KFC or McDonalds, their logo is so much famous amongst the crowd that people usually use these restaurants as a landmark. Moreover, it is easily understandable and kids and even adults can see and spot the signs for a long far. People generally tend to remember what they see instead of what they read. And this is exactly what a restaurant logo does. Make it attractive, use bright colors and make it as eye catchy as possible. Many a time the logo becomes so important, that the restaurant need not do any further marketing but just put forward the restaurant logo. The logo will give the customers a helpful piece of information to improve recall of the restaurant in the future. These are the primary reasons that make a logo so important. If you didn’t give much thought when you created your restaurant logo, we recommend you to sit back and reconsider and make all the appropriate changes. 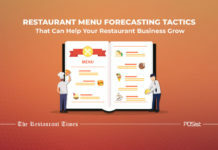 Many restaurant brands change their logo to stay updated with the current trends and to create a connection with the young generation, or to revamp their brand. Keep these points in your mind before you create your restaurant logo!